Miguel Angel, 29-31, 28010 Madrid, Spanien. 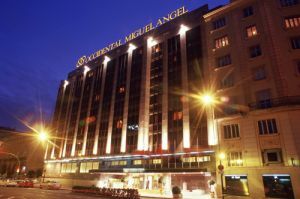 Occidental Miguel Angel is a modern building, refurbished in 2000. It is located on the city's most important avenue, in a shopping area with a wide range of cultural sights, such as the Science Museum. 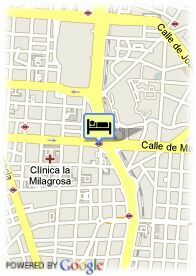 It also has easy access to the historic centre by underground and is situated at 250 m from clinica Universitaria La Milagrosa. It offers 243 well-equipped rooms with television, phone, air-conditioning and bathroom. Hotel facilities include an Indoor swimmingpool. Bezahltes überdachter Parkplätze beim Hotel (21.50 €). ältere Kinder und Erwachsene: 63.13 € pro zusätzliches Bett.